Philosophy Works! starts Thursday, April 11 at 7 pm and Saturday, April 13 at 10 am. See the weekly schedule below. Philosophy goes for 10 weeks. The fee for Philosophy Works! is $100. The fee for “Conversations” is $50. It’s free with registration in a Philosophy Course. From 1965 till his death in 1994, Leon MacLaren had regular meetings with Sri Shantanada Saraswati. These meetings covered a huge field of philosophical topics and form the foundations and chart the path for the School of Philosophy. 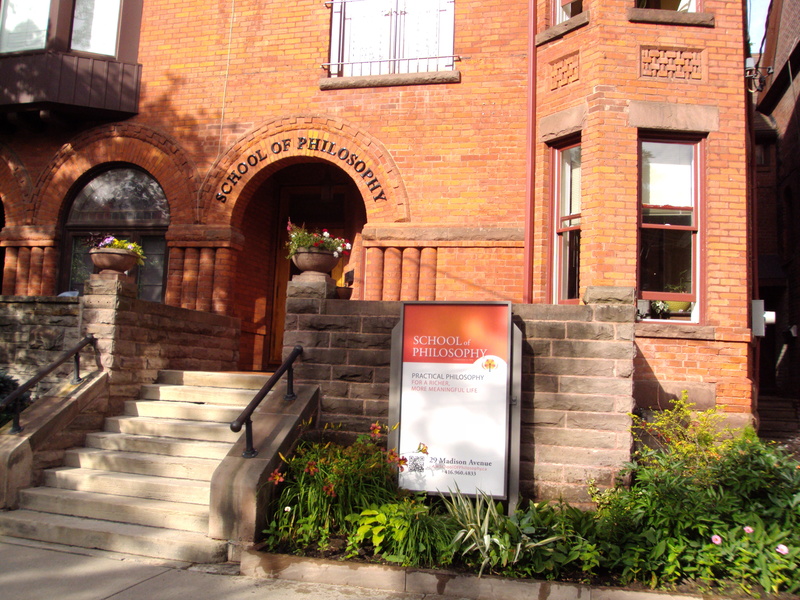 They cleared the path for the establishment and development of Schools of Philosophy all over the world, including Toronto. Those Conversations continue between today’s School Leader, Mr. Donald Lambie and the current Shankacharya, Sri Wasudevananda Sarasvati.